When we started advertising for volunteers in the autumn, we weren’t sure how many volunteers we would recruit but we were overwhelmed with the response. The phone didn’t stop ringing! Fifty-seven people in total volunteered from across the community – staff members, former service users, local politicians, church leaders and members of the public. The commitment and dedication of some of these volunteers has been outstanding. "It has been a privilege to support the service users at SWEP+ and work alongside so many friendly volunteers and New Hope staff in delivering the project. I would recommend volunteering with SWEP+ and New Hope to anyone because it has been a truly rewarding experience. The winter night shelter was funded by Watford Borough Council and took place in three different locations: St Mary’s Church, Wellspring Church and One YMCA. Initially funded for December and January, we were thrilled when the Council confirmed funding for February and March. 105 different individuals have been accommodated over the last four months. 16 people have moved on from SWEP+ to other New Hope accommodation and 7 found accommodation elsewhere. “I didn't need it all the time but for the time I used it, it has really saved my life. The thing that was really nice was the staff and volunteers. They really do all that's possible to help us." Although the weather is warmer and the winter night shelter has closed, New Hope's work with people experiencing street homelessness continues. The Rough Sleeping Prevention Service provides comprehensive support - hot food, showers, clean clothes, sleeping bags and 1-2-1 support. The team also carry out street outreach, building relationships with people who are sleeping rough and offering support. The Intervention Team (which has just received funding for another year!) is a partnership between New Hope, CGL, Citizens Advice and Herts Young Homeless. The team provides support for those who are engaged in substance misuse as well as providing help with benefits, immigration issues and mental health difficulties. 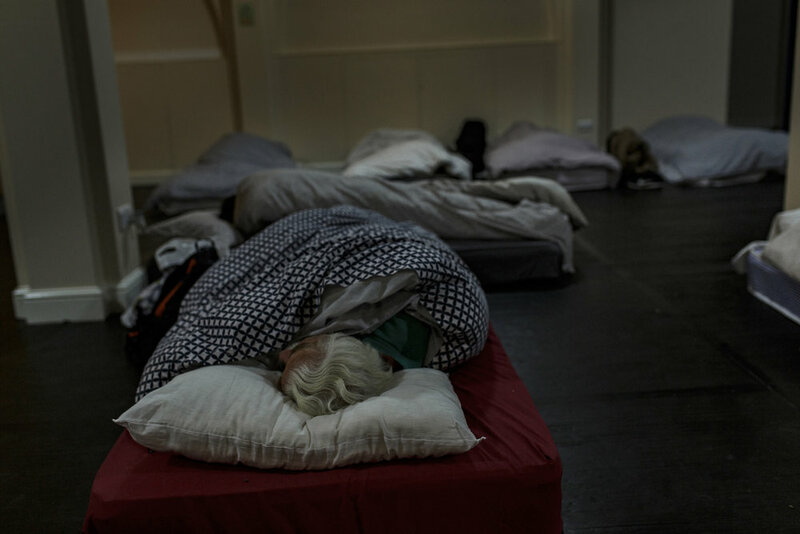 We also have our 24/7 emergency phone line and two accommodation services, Assessment Beds and Emergency Accommodation, for those who are in crisis and need somewhere to sleep. "This place has saved me from getting cold and wet and has kept me off the streets and we have all been made to feel as happy as possible. Thanks." SWEP+ Overview from New Hope on Vimeo.